Revenge is a dish best served cold so they say. Well how about a dish served as a double-page spread in a national magazine instead? For all to see! 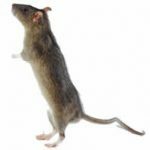 Many people are too embarrassed or shy to share their love rat story with a magazine Others seek to help those in a similar situation, set the record straight, expose their ex’s wrongdoing, or earn some extra cash. Other people simply want some revenge! Simply fill out the form on this page to sell your love rat story. You only need to provide a few basic details about your story. A few bullet points will suffice; we only need a brief idea of what happened. One of our friendly writers will get back to you to discuss your options and give you an estimate for your story (based sales of similar stories). If you’re happy to go ahed, we’ll auction your story to the highest bidding magazines to get you the best deal. If you’re happy with the offers, we’ll write up your story in the style of the publication following a chat over the phone. We will then read it back to you (where you’ll be able to make any changes you like to the copy). It’s YOUR story and we want to make sure you’re 100% happy with it. Our service is free to you and you’ll keep all of the agreed fee. We are paid seperately from the magazine to supply and write the story (most of the content you read in magazines and newspapers comes from agencies like ours). Perhaps your story is actually about the revenge you’ve inflicted on your ex after he or she did the dirty? Whether you’ve hidden stinky kippers in the exhaust of your ex’s new car, or sent them a steaming box of dog poo in a parcel to their office, we want to hear about what lengths you went to get your own back. Maybe you’ve confronted your ex’s new/long-term partner about their antics and compared notes with them? Whatever your story of revenge, we want to hear about it. We’ll also help you achieve revenge if you don’t feel you have truly achieved it. Revenge doesn’t have to taking physical action and doing any of these things to claw back some self-esteem for yourself, there are way of getting your revenge on a love rat that will get you in no trouble, but give you maximum satisfaction. Here at Love-Rat.co.uk, we can contact the guilty party and get the straight answers you’ve been yearning for. We’ll help you set the record straight by printing his lies, and his response to your pain in full to show the world exactly what sort of a person they are. We’ll also call you immediately after we’ve contacted them for their ‘right to reply’ and tell you exactly what they said. We’ll also be using your photos of the shamed party to get their picture in the public domain, so others can be careful to watch out for them. The key to seeking your revenge filling out our online form TODAY.